1. Toast bread until crispy. Make sure not to burn them. 2. 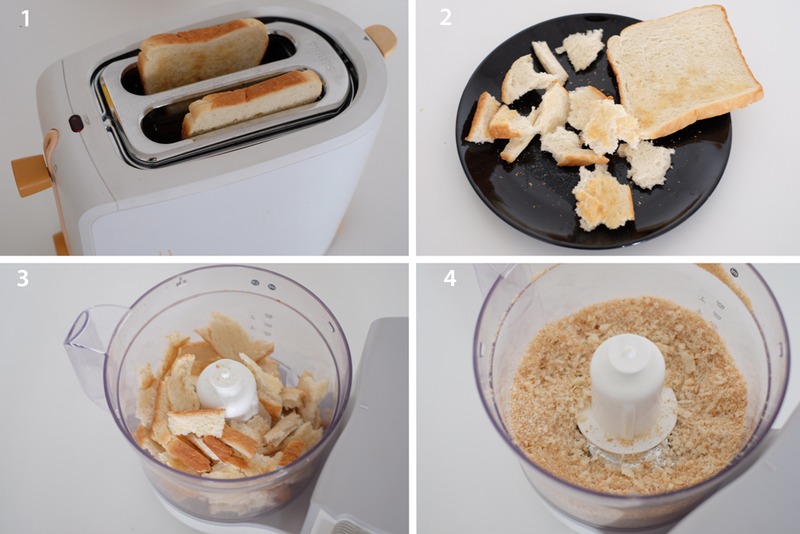 Tear toasted bread into small pieces. 4. Blend until turn to crumbs. Don't have a food processor? Don't worry. Put toasted bread into ziplock bag and mash it with a heavy utensil such as a rolling pin.